The interior of a home reflects the choices and values of the consumer. Interior doors can be an instrument to reflect the overall theme of a space. They can be space efficient, fireproof, classical, rustic or contemporary depending upon the preference of the property owners. When it comes to the material for internal doors, the most common options are hollow wood, fibreglass and solid wood. However, most materials are used to replicate the look and weather resistance of real wood. Need convincing that solid wood is the best choice? 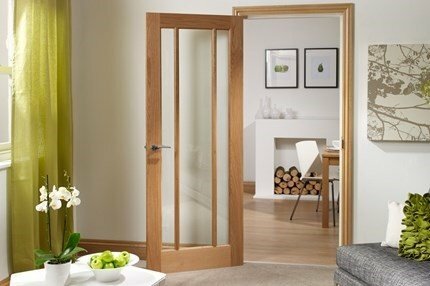 Here are a couple of reasons why we strongly believe solid wood is the best in terms of functionality and durability when it comes to internal doors. A solid wood door can last for a long time provided it is protected from moisture and other environmental factors. While fibreglass or hollow wood doors can crack from force or impact, solid wood shows a great deal of resilience. You don’t need to worry about damaging the door if you have kids in the house who frequently play and move things around. So it’s an excellent choice for internal doors. Because of the texture of solid wood, it sits well with dents and scratches. Small indentations are hardly visible on wood, so you don’t need to worry about any imperfections when you are entertaining. This is an advantage over steel or glass on which dents can be quite prominent and hard to fix. There is a large variety of solid wood door available on the market. Each type has its distinct look and texture which can supplement the interior of a house, residential unit, office or any other building. 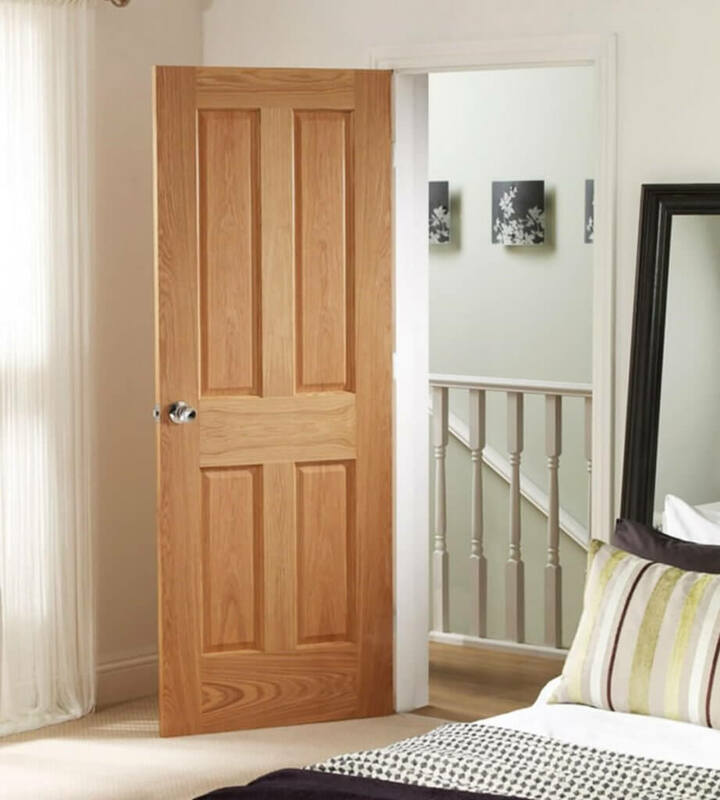 We offer you internal doors made with oak, pine, pitch pine and even laminated ones. These doors can be used to create a cottage like interior and add a rustic element to your property. Contemporary doors made out of wood are also available which channelise the latest trends in the real estate market. And if you are one for it, glass panels can also add a fancy look to solid wood doors. Even if you have a strong external door, drafts and dust can still find their way inside through the space between the door and the door frame and the floor. Solid wood has a high insulating value which keeps out cold winds and creates a warm environment. In summer, it doesn’t heat up and maintains a nice temperature indoors. Solid wood doors can be a good investment because it doesn’t break down quickly. Sure, solid wood is more expensive than eggbox or hollow doors, but it also gives you more value for your money. Instead of buying a cheap door that is a low-quality impression of actual wood, go for the best there is on the market. You will be saving on all the replacement you would need to do if you bought low-quality doors. That’s a win-win situation.